No, that's not a meteorological observation. It's a Jeopardy answer to the question: What happens went one of the best pop bands to come out of Regina, Saskatchewan play the Vernors Room at the Crofoot in Pontiac? Rah Rah will be performing (free!) 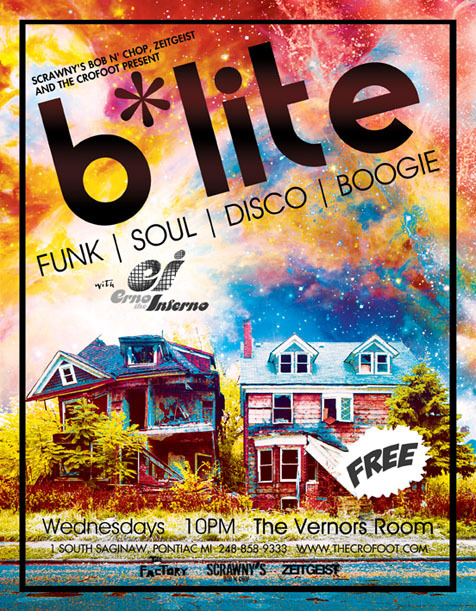 in the Vernors Room on Wed., Dec. 15 as part of the Crofoot's B*Lite club night. They're a definite departure from the evening's usual funk/soul/disco/boogie and one we highly recommend. We saw Rah Rah at Windsor's Phog Lounge in October and loved them; read the show review here. *If you didn't get the "pop" reference in the title, it refers to the invented-in-Detroit Boston Cooler-- Vernors and vanilla ice cream. What's Boston's problem, anyways? They've got baked beans, cream pies, and terriers! Leave Detroit's culinary legacy alone! Super! now, I'm thirsty for a Detroit Cooler!